So the lower left-side of your back is giving you fits. You have two burning questions. What happened? How do I get this fixed? Both are important questions. Getting the former answered will help you prevent recurrence. But you're much more interested in getting the latter questioned answered, and fast! Your problem might be medical, musculo-skeletal due to injury, or joint related due to genetics. Your medical doctor and your chiropractic team work together to get you properly diagnosed and treated. So let's start with the most common causes of lower left-side back pain. The most common cause of lower left back pain is muscle strain or spasm on the left side of your body. Thankfully a muscle strain is not a serious injury, but the resulting pain can be quite severe. Pain in your lower left back from a muscle strain finds it origins in an overstretched or torn muscle (which damages the fibers of the muscle). This in turn can lead to inflammation, and this inflammation may cause back spasms. And pain from muscle strain is typically characterized as sharp, and is often tender to the touch. Solution: In our office we can use our MLS Cold Laser which has been clinically shown to speed the healing time of torn muscle tissue by up to 3 times and can provide immediate pain relief. In a medical office you would generally be treated with muscle relaxers, pain killers, and instructions to rest the muscle to allow healing. 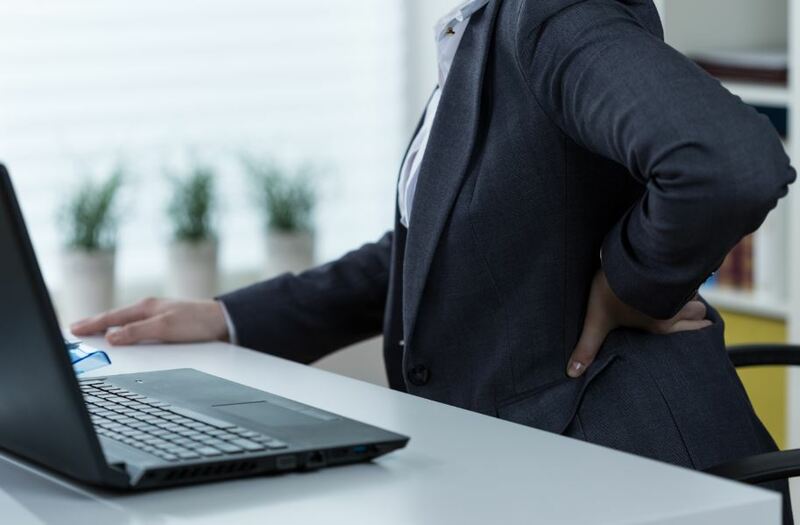 If you have a medical history of these types of conditions and your lower left-side of your back is suddenly challenging you, you should schedule an appointment with your treating medical doctor or we can help you find one. These are conditions that your chiropractor is highly educated and trained to both diagnose and treat. Here in our south Austin Texas chiropractic clinic, Dr. Henry treats lower left-side back pain as one of the very most common patient complaints. We want you to know that you don't have to live with this. Dr. Henry will diagnose the cause of your pain and put you on a rapid path back to normal life. Every case is unique, but if you take a moment to read and listen to some of our patient reviews, you'll find many different people testifying to rapid return to full quality-of-life living.